Adapting to Urban Displacement – Forced Migration Review, Feb. 2010. For the first time in history there are now more people living in towns and cities than outside them is not in itself a reason for FMR to be covering urban displacement. Behind that fact, however, lies the multiplicity of reasons why people have been moving into urban environments and the reality that for many of them it is not a matter of choice. Relatively little is known about the precise numbers of those forcibly displaced into urban settings, their demographics, basic needs or protection problems. They may choose to be displaced in cities rather than in camps but they did not choose to be displaced, and therefore they may have rights to protection and assistance under humanitarian law. For internally displaced people the situation is especially confused, as they are likely to be living among compatriots facing similar difficulties and challenges – whether city-born residents or, for example, rural-urban economic migrants. In their introductory articles in this issue of FMR, UN High Commissioner for Refugees António Guterres and UN-HABITAT Executive Director Anna Tibaijuka emphasise the complexity of the challenges faced by those displaced into urban areas and by those seeking to protect and assist them, and argue for the need for a radical rethinking of approaches. The articles that follow address some of the practical and policy issues that urban displaced people face and that affect providers too. Guterres was speaking ahead of the annual “High Commissioner’s Dialogue,”which this year will focus in Geneva from 9-10 December on protection challenges in the context of urbanization. Like 3.3 billion other people in the world, refugees have been steadily moving to cities, mostly in developing countries, a trend that has accelerated since the 1950s. The number of city-dwellers has grown fourfold over the last 60 years, from 730 million in 1950 to over 3.3 billion today. Eighty per cent of urban-dwellers will soon live in towns and cities of the developing world. “The rights of refugees travel with them wherever they flee,” Guterres said, “and they are entitled to the same protection and services in cities and towns that they have traditionally received in camps.” According to recent estimates, the Afghan capital of Kabul has grown threefold since 2001, and many of the new arrivals are former refugees who have returned from the Islamic Republic of Iran or Pakistan, or displaced people who are escaping violence in rural areas of the country. Bogota in Colombia and Abidjan in Côte d’Ivoire have both absorbed hundreds of thousands of victims of armed conflict who swell ill-serviced slum areas. In the Middle East, both Damascus in Syria and Amman in Jordan are providing a sanctuary for hundreds of thousands of Iraqis who have been forced to flee their country. UNHCR experience on the ground paints a graphic picture of refugees struggling to survive in urban environments. 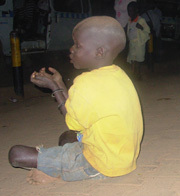 Forced to live in overcrowded slums and shanty towns, with little or no access to health and social services, most are obliged to eke out a living in the informal sector of the economy, where they are subject to exploitation. Many individuals stay under the radar, preferring to remain “invisible” for fear of deportation. This makes registration and identification difficult. The arrival of large numbers of forcibly displaced people to cities places additional strains on scarce public resources such as health and education, and may lead to increases in the prices of basic needs such as food and accommodation. Refugees in cities will typically live alongside nationals and migrants who have migrated to urban areas in pursuit of higher living standards. These different groups all contend with difficult day-to-day circumstances in communities that will lack even the most basic welfare support. More pressure on infrastructure and environment, on housing and social services in communities already struggling can create tensions between local and refugee populations – and in worst cases, can fuel xenophobia with catastrophic results. Within this volatile and shifting context, UNHCR is faced with the most basic of challenges -how to identify and reach out to refugees. “While the issue is global, conditions vary greatly from region to region and so much depends on a local response. That’s why, as well as working at government level, we are highlighting the role of mayors and municipal authorities as pivotal. We look to them in particular to help build understanding and cooperation between refugees and the local population on the ground. They can make a big difference,” said Guterres. UNHCR’s new “Policy on Refugee Protection and Solutions in Urban Areas” calls on states, municipal authorities and mayors, humanitarian agencies and civil society to recognize this new reality and to join forces to meet the challenge raised by a growing refugee population living in towns and cities worldwide. A new report finds nearly a third of refugees and other people cared for by the U.N. refugee agency are not getting their basic needs met. Lisa Schlein reports for VOA from UNHCR headquarters in Geneva. 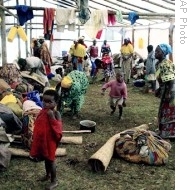 The U.N. refugee agency conducted assessments in eight pilot countries, including Cameroon, Ecuador, Georgia, Rwanda, Thailand, Tanzania, Yemen and Zambia early this year. Refugees living in camps, as well as those living in urban areas were surveyed. So were internally displaced and stateless people. U.N. refugee spokeswoman, Jennifer Pagonis tells VOA aid workers were unprepared for what they found. Pagonis says refugees living in camps tend to get assistance, such as food, from humanitarian agencies. She says they also live in a slightly more protected environment than do urban refugees.